ELIZABETH CITY, NC –– Technology, comfort, and premium storage is what comes standard with the 2016 Dodge Journey. Seating and room available for family and friends makes tackling adventures and everyday tasks easy. Learn all about this combination of form and function by downloading the 2016 Dodge Journey brochure below. 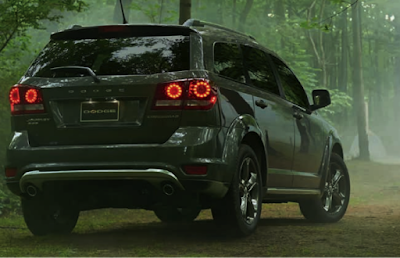 The 2016 Dodge Journey is dressed for any occasion with its rugged stance, five doors, and LED lighting. This crossover seats up to seven passengers with room for everyone’s gear. Standard hidden storage bin in the rear, second-row floor storage, Flip n’ Stow flat-fold passenger seats, center floor console, and door storage and drink pockets provide places for everything. The 2016 Journey will keep everyone charged and entertained with 12 power outlets, a remote USB port, audio input, and Rear DVD Entertainment System with wireless headphones. The driver and front-seat passenger will have peace of mind using the 8.4 inch touchscreen for navigation, climate control, and Satellite Radio. While everyone is comfortable in ride, the AWD provides surefootedness, and the engine up to an EPA-estimated 26 MPG highway. Convenient safety features include: Parksense rear park assist, Parkview rear back-up camera, Electronic Stability Control, All-Wheel Drive, and ABS. See more about these features by downloading the 2016 Dodge Journey brochure. If a versatile crossover is what you want to tote around your crew and gear with, stop by Perry Auto Group to purchase or lease your 2016 Dodge Journey. Perry Auto Group has two dealership locations to serve you better at 1005 W. Ehringhaus St, Elizabeth City, NC, 27909 or 1001 Halstead Blvd Elizabeth City, NC 27909. Stop in for any of your auto or community needs, or feel free to give us a call at (252) 338-9100. Should You Lease or Buy a Vehicle?